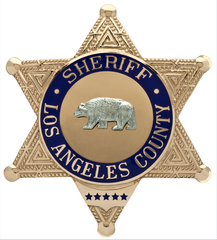 In a continuing effort to efficiently work with partnering governmental agencies to ensure safety for the residents, business partners and animals in the areas we serve, the Los Angeles County Sheriff’s Department acts as the Regional Mutual Aid Area Coordinator. In preparation for potential hazards from inclement weather in areas affected by the recent Fish and Creek Fires, a multi-agency command post was staged at Hansen Dam to monitor weather and coordinate related events. No major weather or rain-related problems were detected, thus all mandatory evacuations for the Fish Fire and Creek Fire burn areas, including Kagel Canyon, Lopez Canyon and Little Tujunga Canyon, were lifted at 10:00 A.M. on Tuesday, January 9, 2018. All squads of Los Angeles County Sheriff’s Department personnel assisting with evacuations and road closures were demobilized. The California Highway Patrol reports all weather-related road closures were lifted. We thank all residents and business partners affected by the evacuations for their patience. Your cooperation enables us to assist those living and working in our communities with greater ease, speed and fluidity. Although the recent storm has passed, we encourage those in precarious, fire-damaged areas to continue monitoring weather reports, and check for status updates with local law enforcement, fire department and utility websites. CARE is a multi-agency public outreach program committed to providing timely recovery and safety preparedness information following the recent heavy rains. This especially relates to the areas affected in the #CreekFire and #FishFire areas. CARE includes the Los Angeles County Sheriff’s Department, Los Angeles County Department of Public Works, Los Angeles County Fire Department, and many other agencies. #CreekFire Mandatory evacuations are issued for the following areas to approximately 300 *residences (homes, not residents as previously posted) : Kagel Canyon, Lopez Canyon, and Little Tujunga Canyon. #FishFire Mandatory Evacuations in the area of Brookridge Road and Mel Canyon Road, in the city of Duarte regarding flash flood / mud and debris flow mandatory evacuations to approximately 400 *residences (homes).